Chile is one of the most fascinating and diverse countries in South America. Geographically speaking, it is not comparable to any other country in the world. At the widest point, the distance between the west coast and the eastern border is about 440 km, but on average it is only 180 km. The north-south extent however, extends over almost 4,300 km between the border triangle with Peru and Bolivia in the north and Cape Horn in Tierra del Fuego, the southernmost point of the American subcontinent. With the Atacama Desert in the north, Chile has the driest desert in the world. In the south there are gigantic untouched glacier fields and ice masses that eke out their existence in the cold. In spite of the small extent in width, the Andes are clearly and majestically rising in the east of the country and form the longest mountain range on earth. Between the gigantic and rugged high mountain passes, the highest volcano in the world, Ojos del Salado, towers at 6,893 meters. 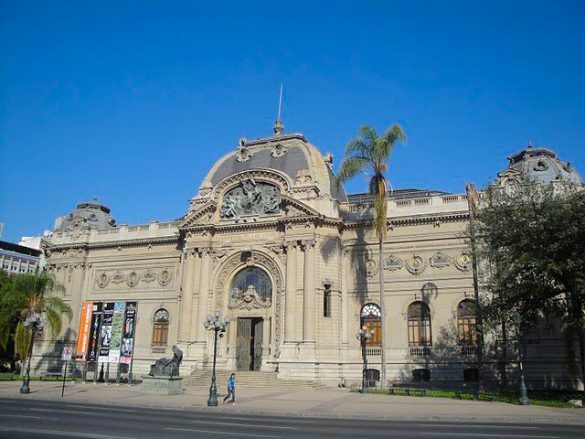 But also vibrant cities like the capital Santiago de Chile, La Serena and Valparaiso make the traveller’s heart beat faster. The diversity of the country is also reflected in its population, which originally consisted of many different Indian tribes and whose culture still lives on today. 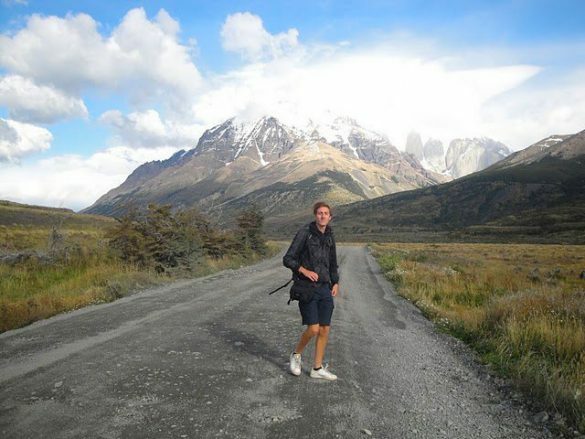 Chile was the country I liked the most during my five months trip in South America. Beautiful historical sights, breathtaking activities, amazing landscapes and popular tourist attractions were the reasons I liked Chile so much. I started the journey in Chile’s northernmost city Arica and travelled further south till I reached the amazing Torres Del Paine National Park. Here are the things I enjoyed the most on my exciting trip to Chile. Arica is the northernmost city on the Pacific coast of Chile, just a few kilometers from the Peruvian border. 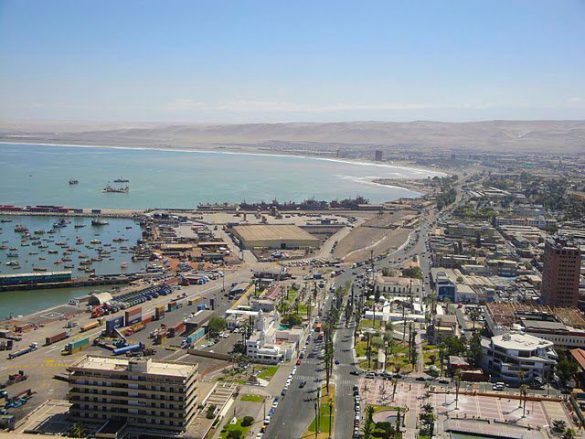 Originally Arica belonged to Peru, but was conquered in the Salpetre War by the Chileans. 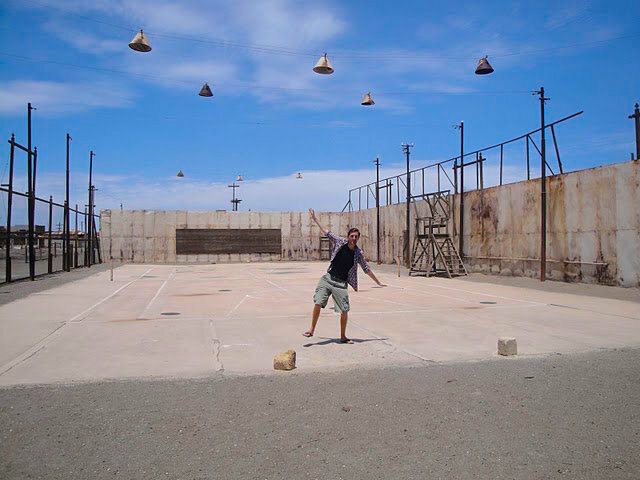 The battle zone was located on the mountain Morro de Arica (260m), from where you have an amazing view over the city. Today, there is an Army Museum, where the conquest by Chile is documented. The steel church of the Catedral de San Marcos, which was designed by Gustave Eiffel in 1875, is one of the city’s landmarks. 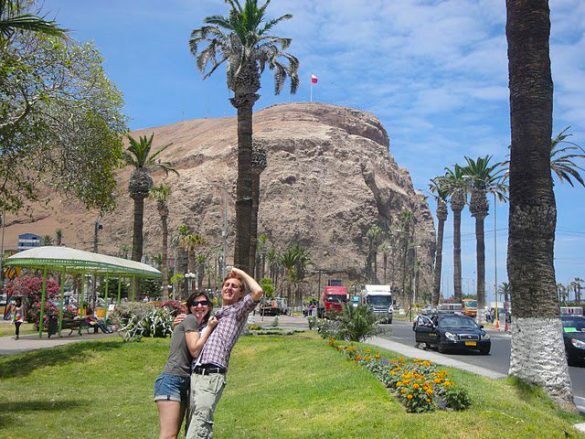 Because of its unique coastal climate, Arica is also known as the City of Eternal Spring and visitors can enjoy the beach all year round. Especially surfers come here because of the perfect wave conditions. 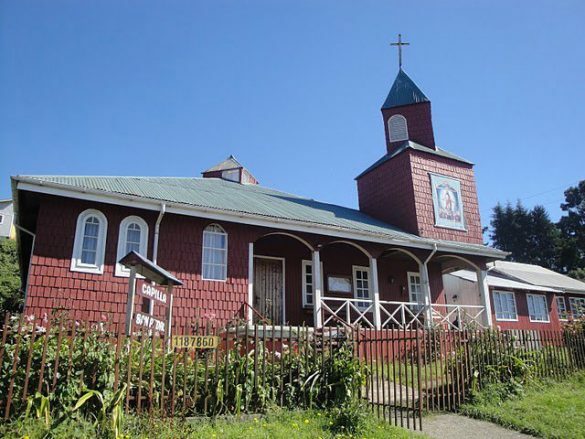 On the island of Chiloé, which lies in the Chilean north of Patagonia, the world seems to have stopped. Everything is slower here than on the mainland. Chileans are living in simple wooden houses, paved roads are not a matter of course and the daily necessities are covered by tiny corner shops. 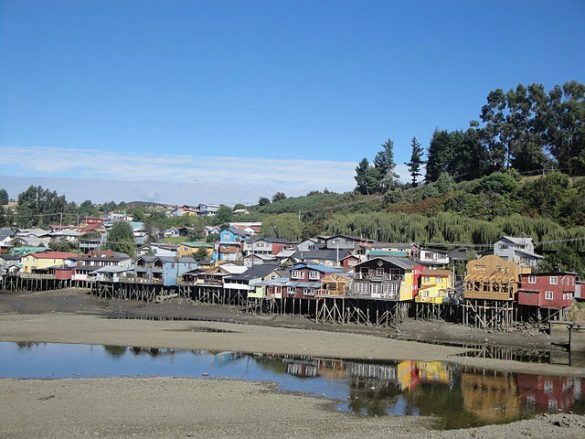 Because of its remoteness and the efforts of the Chileans to separate themselves from the Chilean government, an independent culture has developed on Chiloé. Architecturally, this is reflected for example by the Palafitos – wooden stilt houses on lakes and rivers – or the wooden churches, some of which are UNESCO World Heritage Sites. You can easily spend a few days exploring this mystical island. Although the Atacama Desert stretches along the South American Pacific coast, it is one of the most arid landscapes on earth. The reason is that it never really rains. The result is more than 1200 kilometers of reddish brown earth and towering rocks. 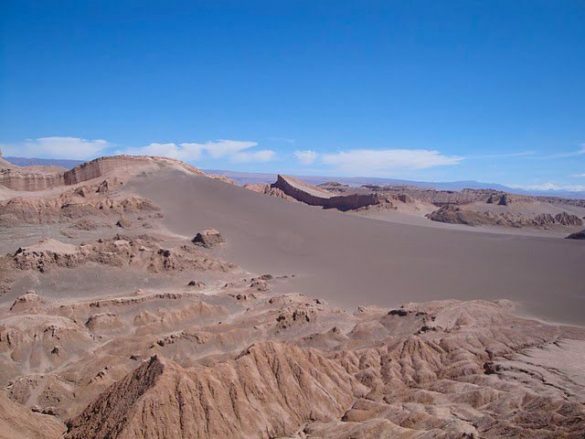 Popular amongst tourists are trips to the Valle de la Luna, which reminds with its surface to the barren landscape on the moon. The most fun and adventurous way to discover the most interesting sights of the Desert of Atacama is by renting a bike. 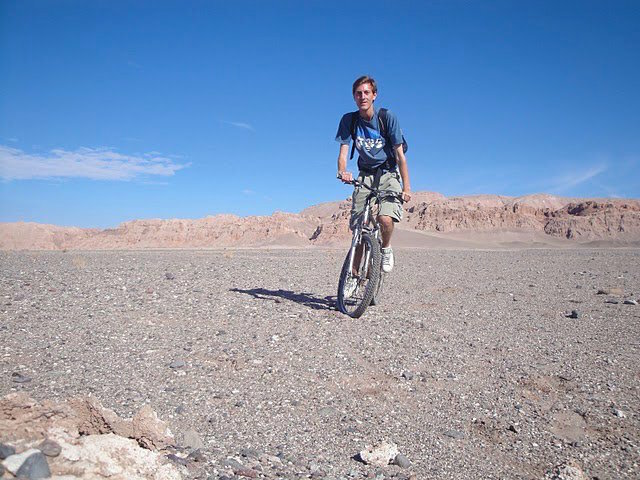 You can easily rent a bike in the nearby village San Pedro de Atacama. Humberstone is a former saltpeter refinery that has been in operation for almost a hundred years. For the workers and employees a whole city with a school, a church, a theater and a hospital was built right next to it. 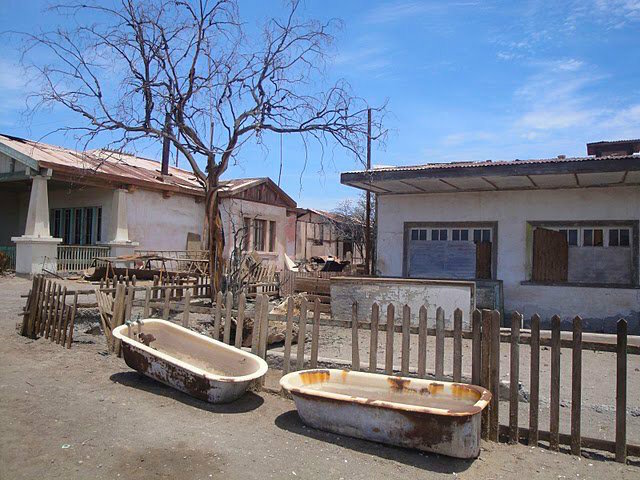 After the mine was abandoned in the early 1960s, everything started to rust and went to rack in the desert wind. Humberstone has been declared a UNESCO World Heritage Site. From the city of Iquique it is relatively easy to reach the former refinery by public bus. 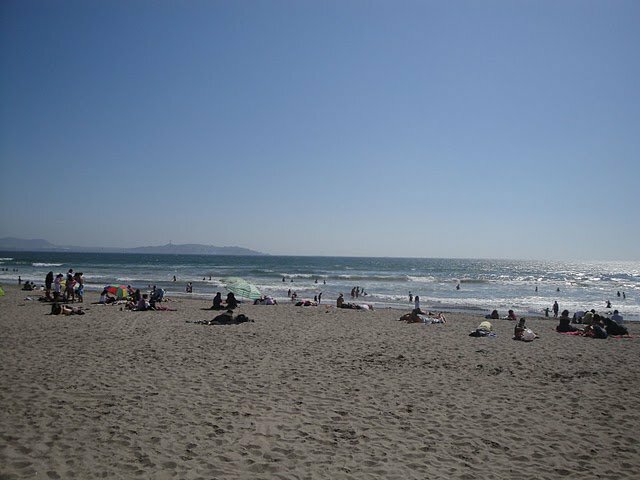 La Serena, the popular tourist town on the Pan-American Highway, exudes a special charm mainly due to its colonial style old town and its white sandy beaches. 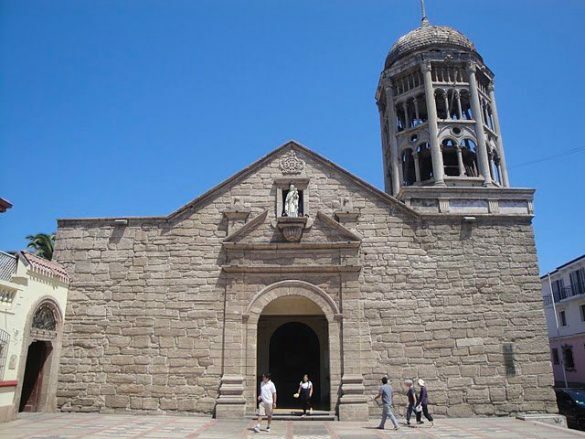 Built in 1544 by the Spaniards, it is Chile’s second oldest city. I just wanted to stay one or two days in La Serena, but I was so enchanted by it, that I stayed more than three days. Highlights of the city are the Japanese Garden, the Plaza de Armas, the beautiful cathedral and the lighthouse. 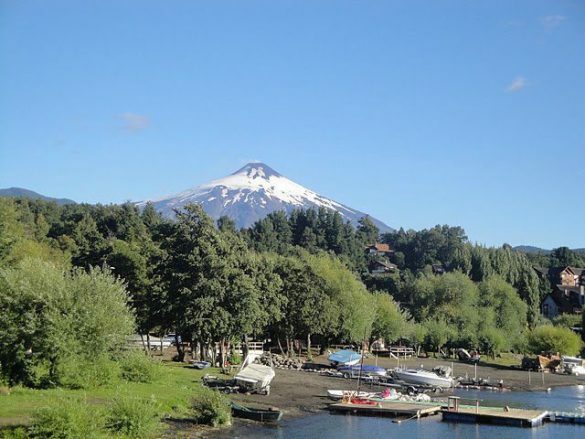 With around 14 000 inhabitants, Pucon is one of the smaller towns in Chile, but also one of the most famous tourist resorts in the country. 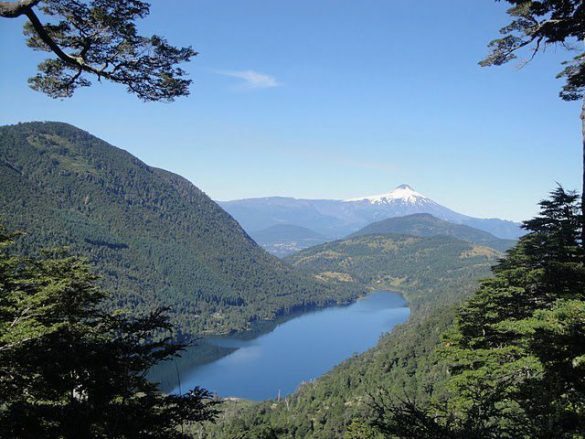 Pucon is an excellent starting point for all sorts of outdoor activities like for example climbing and hiking tours, rafting, fishing, horseback riding, canyoning and skiing. The main attraction in the center of the city is the lake “Lago Villarrica”, where you can take a swim and refresh yourself during the warmer months. The main attraction outside the city is definitely the impressive volcano Villarrica. My personal highlight was a day hike in the Huerquehue National Park from where you have amazing views on the volcano and the Chilean rainforest. 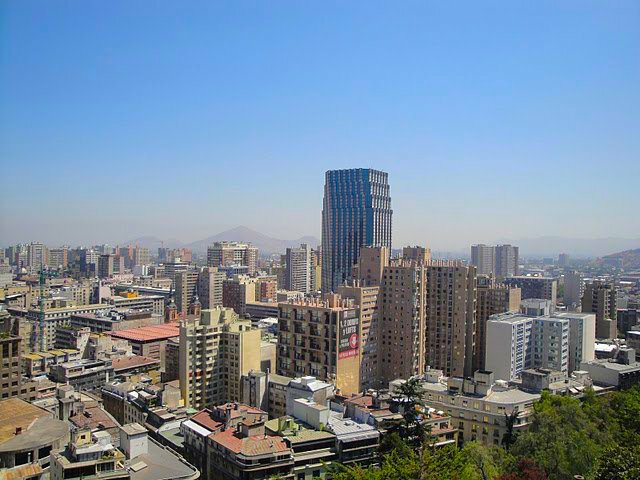 Santiago de Chile is the capital of the Republic of Chile and was founded in 1541. The city has one of the world’s most famous sceneries, as you can see the snowy mountain peaks of the Andes from the city centre. Other highlights of the city are The Plaza de Armas, the Palacio de la Moneda, the Church of San Francisco and the Cerro Santa Lucia. While Santiago was considered a quiet and perhaps even boring city a few years ago, today’s nightlife can be quite impressive and can compete with other metropolitan cities. Especially the pubs and bars in the district Providencia offer cheap drinks and happy hours. 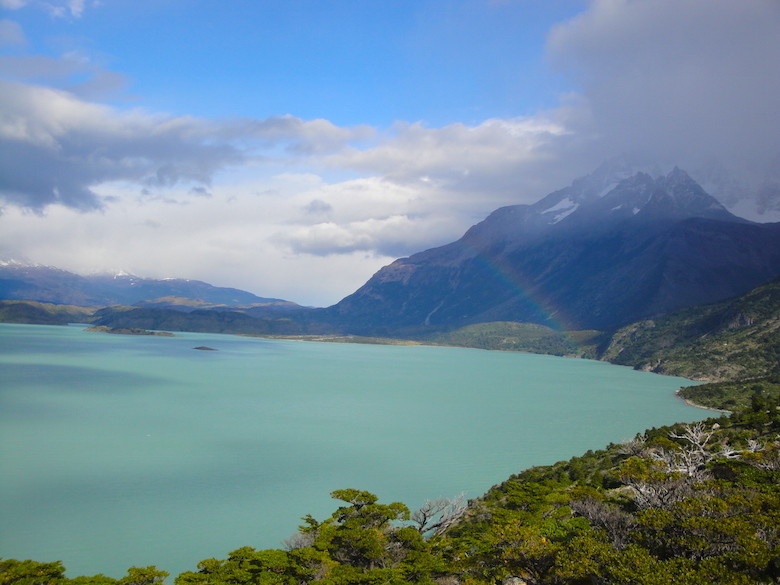 Torres del Paine National Park, a UNESCO World Heritage Site since 1978, is visited by more than 100,000 nature lovers every year. It is one of the most famous national parks in Chile and offers a varied nature experience with glaciers, mountains and temperate rainforest right next to the Southern Patagonian Ice Field. The name comes from the landmark of the National Park, the three granite peaks of the Paine mountain range. A multi-day hike leads to the highlights of the park. As I didn’t want to to spend too much time in the park I was also able to do the trek in two days. You can either bring your tent and stay the night on camp sites or you book a bed in a refugio. The old port city of Valparaiso is one of the most beautiful cities in Chile. The Chileans themselves call Valparaiso the “jewel of the Pacific”. 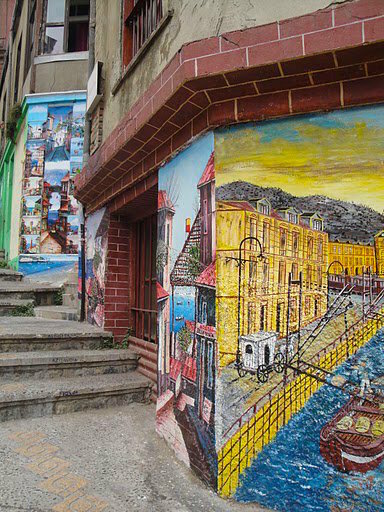 Typical of Valparaiso are the many colorful houses and artistic mural paintings on the hills that surround the harbor and the historic center. Outside of the city center, Valparaiso exudes the charm of a hilly seaside village, with many small shops and galleries, old bars and cozy restaurants. 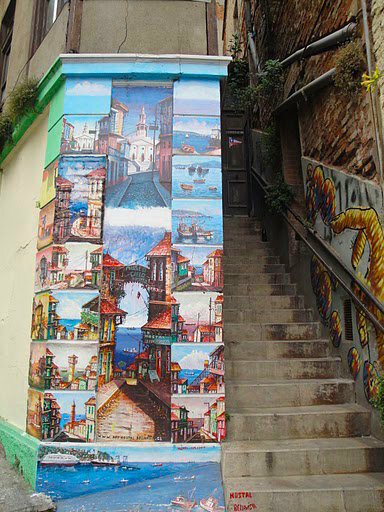 Other famous landmarks of Valparaiso are the old funicular railways, which allow you to climb some of the steep hills. You can easily spend two days in this lovely city.